One of the questions we're often asked is "how many Metropolitans are there in the UK"? The answer is we do not know but we believe about 250 cars still survive, although many are not on the road at this time. Obviously we are aware of the vehicles owned by Club members but we also believe that there must be other cars out there that are not known to us. The Metropolitan Owners Club UK would like to ask you to help us, whether you are a Club member or not, in documenting these vehicles. So, if you know the whereabouts of any Metropolitan that you believe does not belong to a club member, please let us know by contacting - steve@metclubuk.com Obviously the more details you can provide the better. The information you provide will be used solely for the purposes of creating a register of surviving vehicles. In a similar vein, people often wonder what became of cars they once owned. Do you know any of the history or even the current whereabouts of the following, or have any information at all that we could pass on to former owners? traded in, in Stevenage, Hertfordshire, in about 1966. This is a good photo sent to us by non-club member Phil Richards of Carmarthen, which we believe was possibly taken in the 80's at an auction in Wiltshire. If not, does anyone recognise the location? 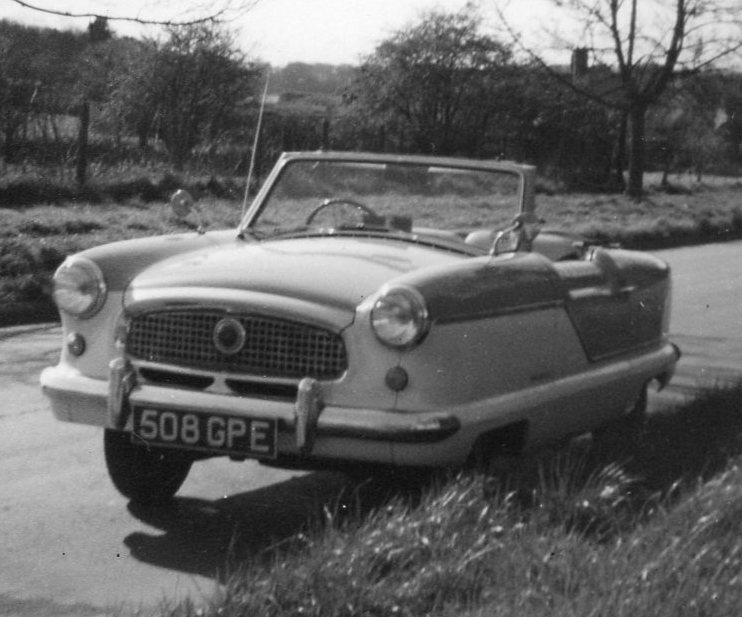 The car on the left, NDR 701, was first registered in Plymouth on 18 Sept. 1957 and it is known that it still retains its original number, but has been off the road since March 1994. The later series car 780 UPH originally hailed from Surrey and was first registered on 1 June 1961. Again this car is known to have been off the road since early 1995. 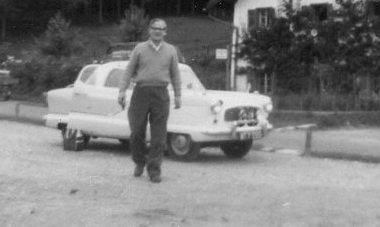 It would be great to reunite the photo with the cars, so do you know where they are now - or indeed where they were then? This car was advertised for sale in June 1996 in the Popular Classics magazine, by a dealer in the Herfordshire area. 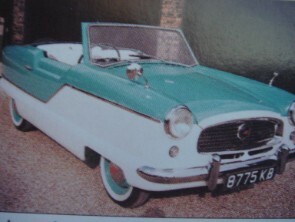 It looks to be a pre-1959 model but the number plate is later so it maybe it was re-imported, as the date of registration was often the date of re-import. Does anyone have the answer and know what became of it? January 2014 - We are pleased to report that the car has been traced and it now resides in Milan, Italy.